How Dud is helping and making a difference! Kay Cooper along with Gavin Grace launched Dud's book this month at a gala even in Perth, West Australia. Children and adults enjoyed Kay's introduction. Dud's story kept their attention and Kay said "one little boy had the strength to reach out for help." Helping one person at a time; Dud will work his magic. Kay's book is 20 pages and contain photos of Dud and his hardships. You'll definitely want to copy, to read to your children and grandchildren. Order your copy from Kay today! Many books have been donated to the AVD. 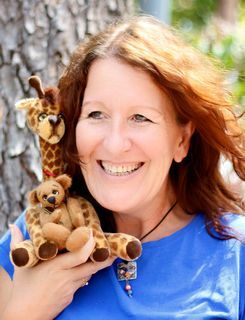 Kay has been invited to speak to many groups where she is an inspiration to women; those who have experience hurt, and suffer from depression. Gavin, who speaks often to organizations, asks Kay and Dud to join him. As a team they are getting the word out; there is help in the form of a little bear called "Dud". How Dud came to be . . .
Dud has a big, kind and loving heart but no one could see this. 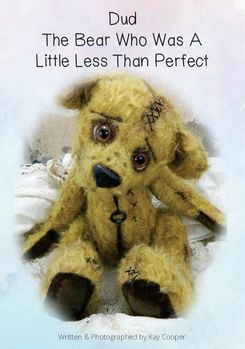 Through years of abuse, bullying and misunderstanding, Dud, the battered bear, is now helping others handle depression in his new book, soon to be published by Kay Cooper (Cooper Bears). "Art vs. Depression has started a program for school children," Kay began, "because depression and mental health issues are adult-heavy in content and hard for a child to cope. 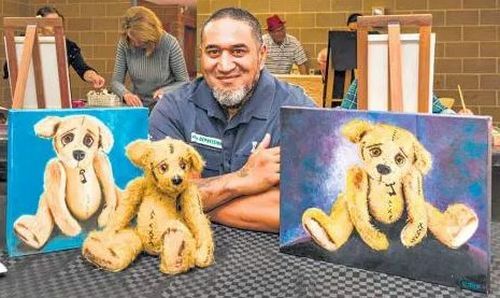 Portrait artist Gavin Grace decided that he needed a vehicle that could deliver the message of resilience, in spite of issues the child is going through. He brings Dud to life on canvas. Gavin visits schools and chat with students about life's issues. 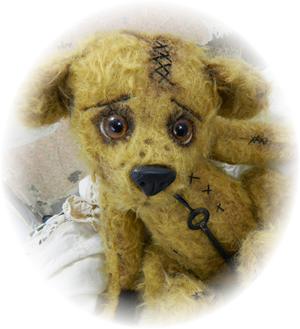 The program uses the story of Dud, the bear who was a little less than perfect, as the basis of the program. Duds story is read to the class then its broken down into parts and the class is broken down into discussion groups. To continue the healing, each child is given a buddy and as the program goes on they are encouraged to write a story about their buddy, making it easier for them to talk about their own problems. Read the feature story published in the Examiner.